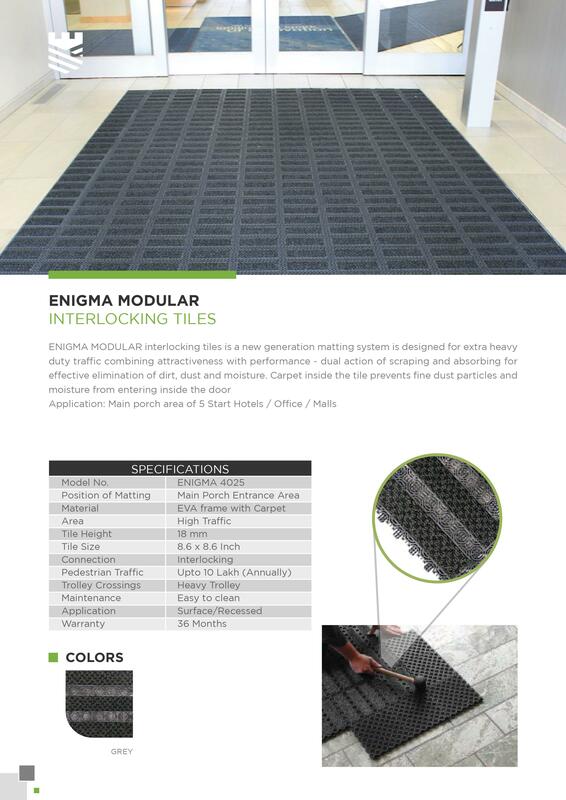 Enigma Modular interlocking tiles is a new generation matting system is designed for extra heavy duty traffic combining attractiveness with performance – dual action of scraping and absorbing for effective elimination of dirt, dust and moisture. Enigma Modular is a mix of 2 tile versions. One tile is with carpet and one tile is without carpet. 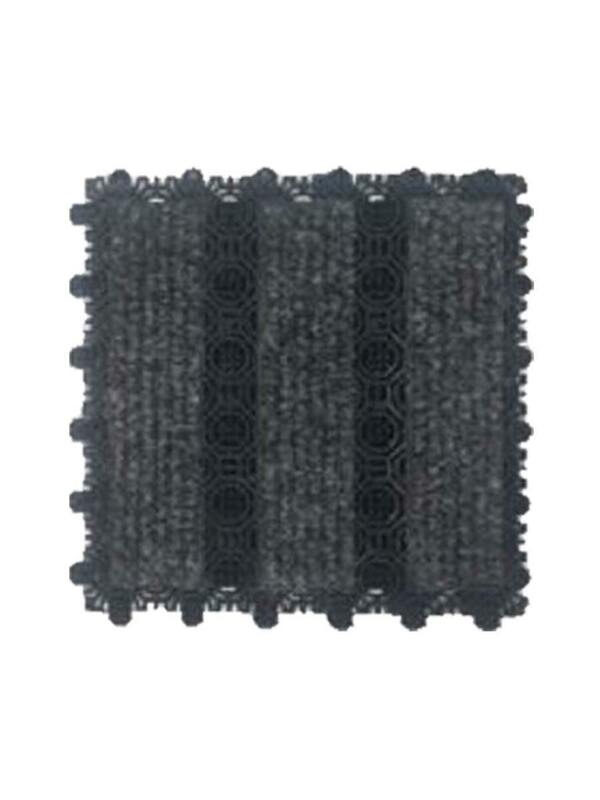 Montreo Carpet inside the tile prevents fine dust particles and moisture from entering inside the door.